Heraclitus is famously alleged to have said that we cannot step into the same river twice. Everything changes, everything is in the process of change, nothing remains the same and nothing lasts. This is true of the universe as much as it is true of human life. And for 75 gloriously intense minutes Thomas Thielen gives us a masterful, insightful and quite profound philosophical musical poem to both the exasperations as well as the joys of what it means to be alive. ‘Fragmentropy’ is about moments, episodes, dipping your toe again and again into the coursing, vibrant, inevitably chaotic river of life. It is a force we barely understand, are carried along in its swirls, eddies and currents to a destination we know not where. Along the way we discover joy and sorrow, we find and are found, we love, are loved, are parted from love and have it ripped from us. We fight, we struggle, we laugh, we delight; in our search for meaning we mistake the profound for the mundane and the mundane for the profound. It is not easy being human; it is a struggle. At nearly 3 years in the making, ‘Fragmentropy’ eloquently captures it all and captures it quite brilliantly. That we are dealing with the same river is beyond doubt. This is an album which naturally flows (sic) from T’s hugely powerful 2012 musical commentary ‘Psychoanorexia’ where the spotlight is firmly fixed on the mediocrity of modern life. The ability to appreciate and savour the depths and the heights of what life has to offer us is sacrificed on the altar of celebrating the shallow, the bland, the ordinary and the common place. ‘Fragmentropy’ is much more adventurous, more daring, more challenging. By the time we dip our toes in the waters again, T has taken several steps further and invites us to understand that there are bigger questions with which we need to grapple. In the process of answering these questions, this album is at its revealing best. It is full of wondrous mystery and restless curiosity; in many respects the music represents the simple open-minded attitude of the inquisitive child facing the universe and asking ‘why?’ again and again, wanting to know but never satisfied with the responses received. At the same time T lays down a strong scientific thread (again following on from ‘Psychoanorexia’). His poem is in three parts; Anisotropic Dances (Chapter One), The Politics of Entropy (Chapter Two) and The Art of Double Binding (Chapter Three). Each chapter is a toe dipped in the water, musical soundings which struggle to reveal the patterns which shape our lives. The album is a question, or rather, an on-going set of questions which invite you into a conversation with the ideas and the feelings being evoked and painted on the musical canvas before you. As such what quickly becomes clear is this could only be the work of a single artist and never a band; there is a unified vision directing the musical currents and eddies, a mind which brings with it determination, a quiet but assured confidence which shines through again and again in music which is laden with an abundance of attitude, with spirit which briefly enjoys the settled symphonic and melodic present but which quickly dissipates into a discordant wrestling with the troubled moments life brings. Caught up in it all are the most wonderful and sublime textures: musical textures, intellectual textures, emotional textures all fused and seamlessly intermingling into a beautiful tapestry of sound. 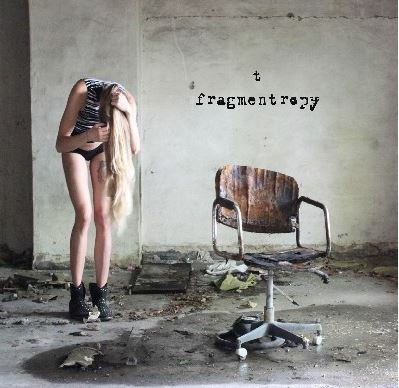 In this respect ‘Fragmentropy’ is a stunning pinnacle of intelligent creative musical achievement. Thielen has always been an innovator, both enjoying as well as experimenting with music and sound. He understands, like few others, that they are not the same and yet their partnership is vital. From ‘Naive’ (2002) through ‘Voices’ (2006), ‘Anti-Matter Poetry’ (2010) and ‘Psychoanorexia’ (2013) he has been consistently building unique musical spaces. These albums aren’t simply about the sounds the instruments make, even though he single-handedly plays everything you hear. It is about combining musical creativity with instrumental technique; it is about how to blend sounds, how to arrange music, how to record it, mix it, produce it and ultimately how to use these as part of the musical experience itself. Everything you hear is mixed, engineered, recorded and produced by T. These ‘tools’ are no less instruments than those he plays. What ‘Fragmentropy’ finally shows us is what happens when the musical project finally comes together, slots into place and delivers an album which is stunning in its vision, exemplary in its delivery and phenomenal in capturing the momentary fragmented songs of human living. And what amazing songs they are too. The attention to detail is mesmerising; spend some time with the lyrics alone to see the passionate intensity and sculpted finesse of poetic vignettes, nuanced allusions and literary breadcrumbs housing piercing observations and sentiments. Then listen carefully to the way these are integrated into each track. 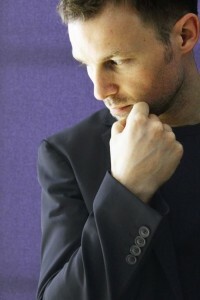 It is not just a voice which carries and delivers the full range of human emotion, clear echoes and strains of Bowie (and maybe Hogarth) in soulful enunciation one minute, driving and biting the next; it is also the way the voice itself is used as a texture and blended into the movement of each track. For example, check out time points circa 9.50 of Brand New Mornings (Track 2), 4.57 in Entanglement (Track 4) and 5.30 in Eigenstates (Track 5). These are (momentous) states of transition from dissonant passages that are full of storm and fury to tranquil calm and soothing peacefulness. The contrasts are disarming and the effect much like the rays of the sun emerging from behind the clouds. And yet each transition itself is a fragment in a series of fragments which highlights the themes of the album generally. The keyboard work, particularly the piano, is a presence which infuses everything, sometimes in the centre ground of melodic symphonies, sometimes a lone voice against a curtain of silence, sometimes a faint echo peeking through layered guitar work. The drumming is quite brilliant in the range of tones and techniques which are employed, dominant and almost overpowering one minute, subtle, coy almost submissive the next. The bass is lovely; undulating, driving, menacing but never intrusive or demanding of attention. It is the current which moves the river along, the pigment at the heart of the textures. Guitars are bewildering in the way they weave the plot and tell the story; so much intensity cascading away into magical riffs, in turn falling into the background, drawing breath and building again. There is so much going on here it is impossible to take it all in or properly appreciate at times the sheer genius at work in its orchestration. Special mention must also go to Katia Tangian’s incredible photography which is startling, challenging and poignant. Take time to compare the cover from ‘Psychoanorexia’ and the transition to the cover of ‘Fragmentropy’. Life mirrors art; the covers are perfect foils for the themes contained within. They are themselves another stimulating layer to add to the textures of musical experience. Don’t be surprised if you do not understand what you encounter when you first hear this album. Don’t be surprised if you are still scratching your head after the second, third and maybe even the fourth listen either. It is not ‘easy listening’, nor, given what has gone into its composition, should you expect it to be. Good things come to those who persevere and this hidden gem is no exception. It demands attention, asks for your time, expects your effort and invites your curiosity. I fervently urge anyone who listens not to give up on it. Wrestle with it, engage with it, join the conversation and undertake the voyage which is being offered to you. Each time you play it you certainly will not step into the same river twice. It will open itself up to you again and again and again. And when it does, my goodness: take a deep, deep breath and cry out in delight because it really is an absolute treat.